Flood Services San Diego is always open to take your call 24/7 – 365 days a year we are here to take your call and dispatch first responders to your location. Flood Services San Diego offers water extraction, Sewage spill cleanup, Restoration, Renovation & Remodeling in the entire San Diego County 24/7 – 365 days a year ! Call with information on the services you require. Home or Office Restoration & Renovation, Commercial or Residential even High Rise or Tower Floods, for Water Removal – Extraction, Flood & Fire Restoration, Flood & Sewage Cleanup, Humidifiers Available, Deodorizing, Consulting, ..the list goes on. Flood Services San Diego always stands ready to take your call because we’re always open ! So if you just experienced a flood or fire and need it cleaned up and quick, we dispatch our first responders who arrive at your location within the hour. Upon their arrival, immediate damage assessment and a no obligation estimate is drawn up. 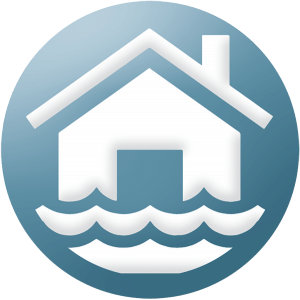 Flood Services San Diego probably more then most understands that floods and fires can strike any time without warning. When it does, you need a reliable and experienced water removal service and fast. We dispatch experienced 1st responders to your location right away day or night within 60 Minutes. Damage from water leaks and pipe breaks require fast water removal, clean up and dry out, and important steps need to be taken to save your property from mold and mildew. Water damage issues require help from expert technicians who handle all types of disasters such as broken pipes, water heater leaks, toilet overflows, sewer spill and the like. Water removal services are needed initially without delay.